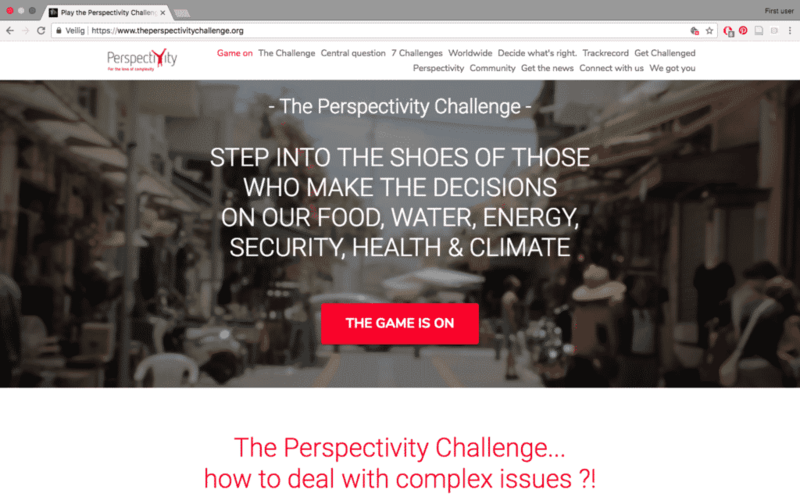 The Perspectivity Challenges now have their own website, visit theperspectivitychallenge.org to check it out. This website contains more detailed information about the individual challenges (Climate, Food, Decision-Making, Human Security, National Security, Public Health and Stress! Nexus) and why you should try it yourself. The website is meant to assist those striving to spread the word about the Challenges and allow more people to experience them with making it easier to explain and share with others. Questions or suggestions about the new Challenge website? Please let us know!